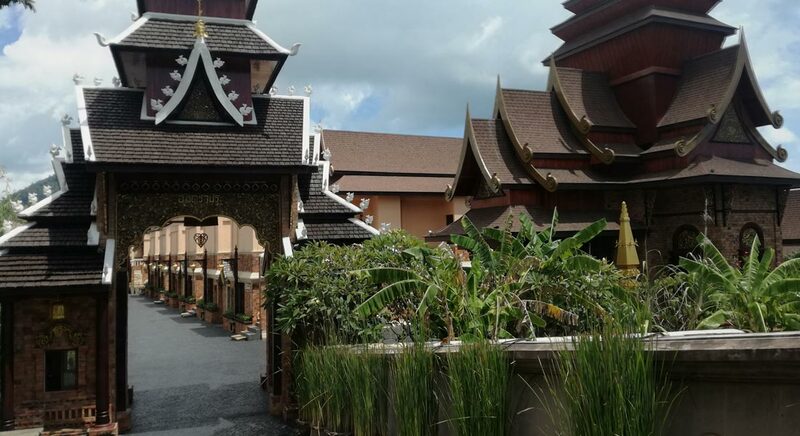 The costs are cheap, the entertainment is second to none and the parties are never-ending, Thailand is the hub of travelers from all over the world. 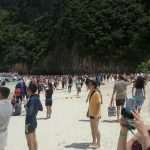 I have made the following list below of the top 22 things to do in Thailand and I would love to hear more recommendations which I could add to the list. If you enjoy this list, you should also check out my bucket list. 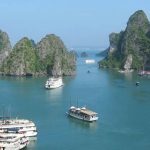 Similar to Halong Bay in Vietnam, this area reminds me of something out of a pirate scene, with the steep limestone cliffs and the deep blue waters. This is also the scene you might recognise glamorised by the James Bond film recently. 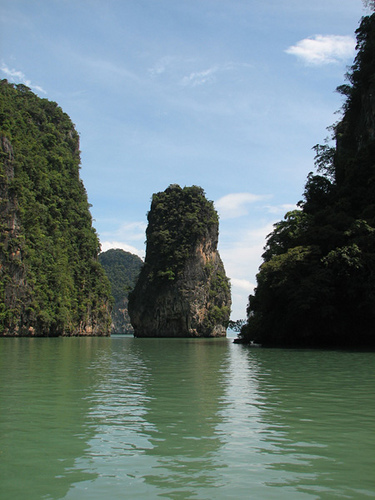 My recommendation would be to take a boat trip from Northern Phuket, which should last the entire day. 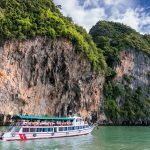 The standard bus boat tours aren’t as great, so definitely go from Northern Phuket. From my experience, Thai massages tend to be a bit more brutal, but there are a number of different types to suit your wants and needs. My personal recommendation would be to go for a foot or a head massage, as it is difficult for them to inflict pain in these areas (the shoulders is the most painful part of a Thai massage, as they dig their elbows into your joints). 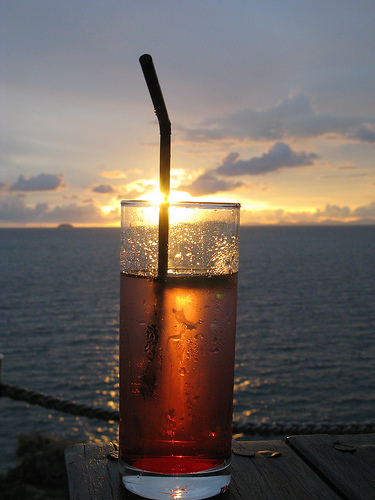 Still, if done right, you can feel relaxed for the rest of the day and spend your evening watching sunset and drinking shots. 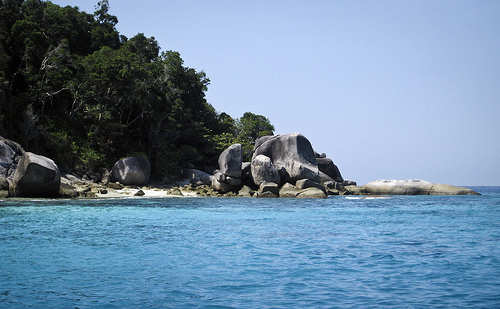 Not ridiculously far from Phang Nga Bay (about an hour and a half by speed boat), the Similan Islands are great for scuba diving and spotting tropical fish. There are nine islands and the area has been considered a Marine National Park since 1982. 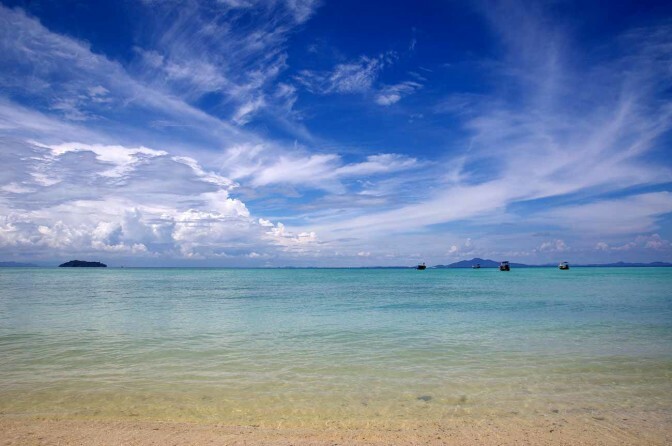 Once you’re near Phuket, you really do have to tick off Phang Nga Bay and the Similan Islands. 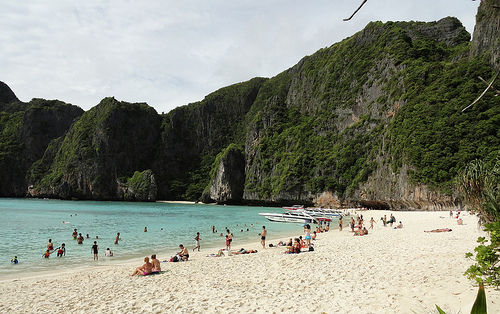 The Phi Phi Islands are made up of 6 islands, situated 40km south east of Phuket. 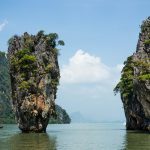 The islands are some of the most beautiful sights in Thailand and are an unbelievable experience you cannot miss out on. Their coral reefs are also great for diving and snorkelling. These are not actually cheaper than taxis, so agree your fee before you get in, and have the exact destination you want in mind. They’re noisy and dangerous, but they really are an experience you have to have in Thailand (even if only once). 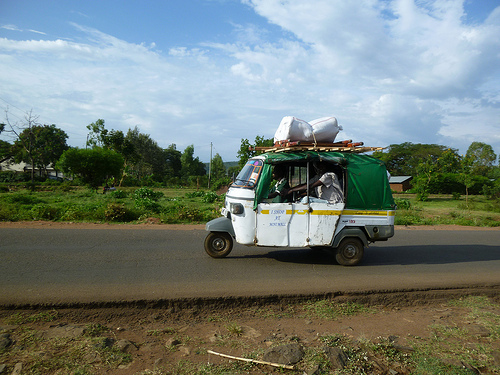 Also, never get into a tuk-tuk near a tourist destination, as they are relying on picking up extravagant people and will charge you ten times the price. You will be able to find food stalls for almost anything, my friends favourite was the pineapple stand, where they would cut up an entire pineapple for you and charge you almost nothing, making it a very cheap portion of fruit. What you should notice is that the food isn’t being constantly cooked (which is dangerous), it is left at the side, and when it needs cooking it is thrown onto a very hot pan, which is much safer, tastier and cleaner. Providing this is the case, you shouldn’t have to worry about an upset stomach. 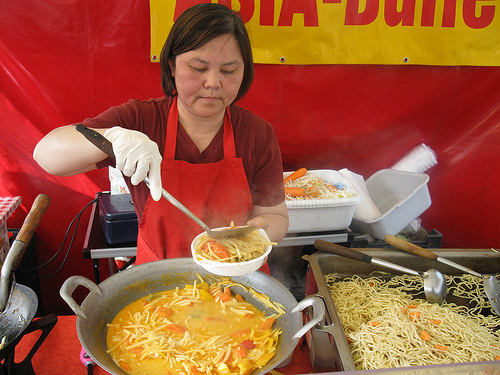 Besides, you’re travelling, so shh and tuck into some noodles! It cost 30 million Baht to construct, but the giant religious statue is a tremendous sight. 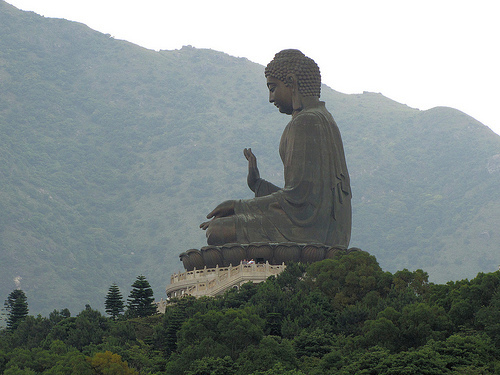 Overlooking Kata, Rawai and Chalong, the giant Buddha is located on the Nakkerd Hills. 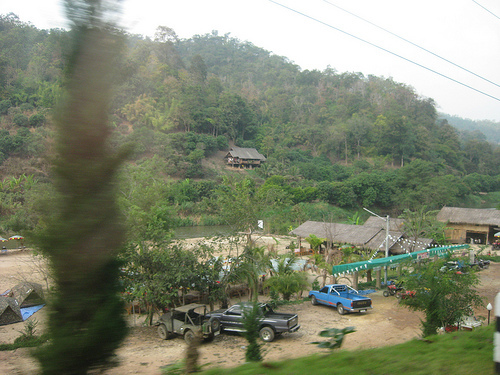 You can also gain an insight into what Thailand is really like as you drive towards the Big Buddha. You either love it or hate it (normally based on whether you grew up in a city with busy crowds or a quiet village). 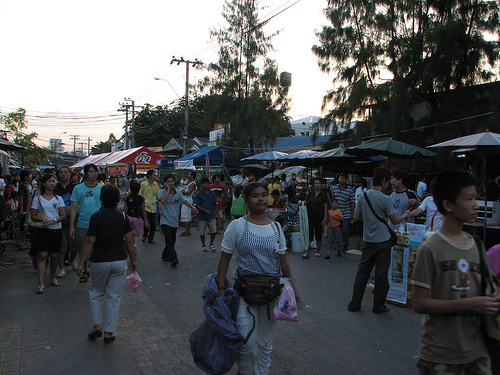 You will find thousands of stalls selling plants, food and drink, clothes, in fact just about anything. One thing to remember is to not take photo’s, as sadly a lot of the animals in the market are illegally sold, such as the reptiles and fish. Also, keep your hands in your pocket so no-one else’s hands can get in. These are just words of warning that could be said for most markets around the world, therefore it shouldn’t put you off going. This is something that should definitely be ticked off if you are in Bangkok. Forget the tourist rubbish, you can watch some really impressive matches, with fighters who represent their nation, while the tickets will obviously be a lot cheaper than home to watch a sporting event. Forget the ringside seats, get right into the crowd and cheer along with everyone. 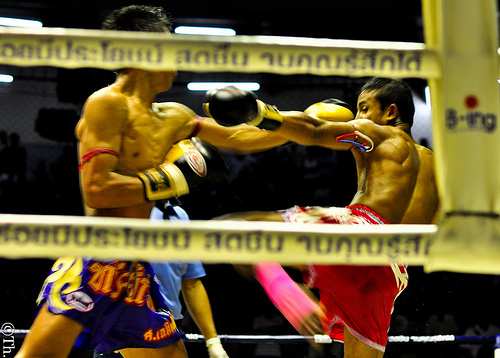 If however you fancy a bit of a laugh, a number of bars in touristy area’s will offer tourists a crate of beers to fight each other in the ring (a number of bars in Bangkok have boxing rings in). Everyone wins as you get a crate of beer, some great photos and an absolutely bizarre memories, while they get to laugh at the stupid tourists hitting each other while they get a spectacle for all their customers at the cost of a few beers. 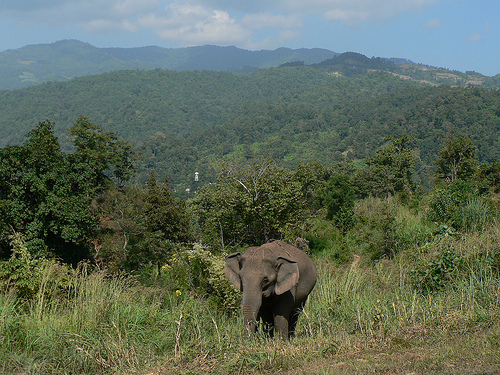 The elephant nature park is where the elephants are properly looked after, while you can help out feeding and washing them. These are much more ethical than some others you will spot dotted around and it is definitely worth a visit. Meanwhile, riding an elephant is very bad for the elephants back, while these elephants are normally badly treated and beaten. I always used to want to ride an elephant, however I have now been educated on the topic and feel relieved I never took part in this bad practice. 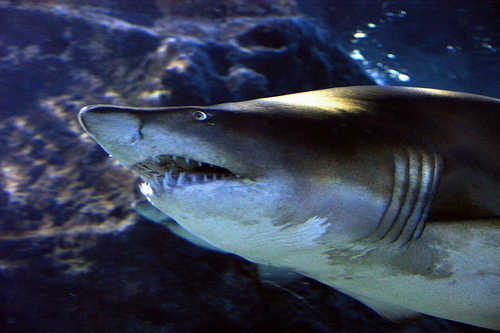 This is a brilliant aquarium filled with penguins and sharks, but the main highlight of visiting Siam Ocean World is to dive with the sharks. I have always wanted to do shark diving, while this offers you an opportunity to do so at a reasonable price. Another attraction in Bangkok, this is undoubtedly the main sight in the city, built in 1782. 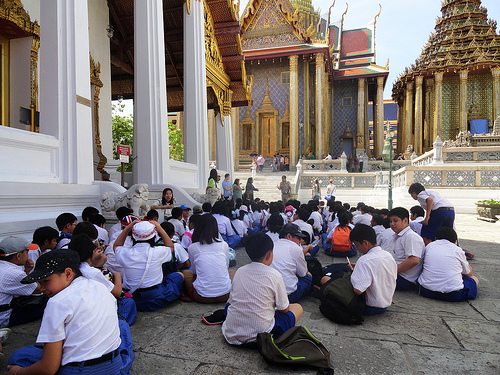 Remember if you decide to visit the Grand Palace that you should be wearing clothes that cover yourself up, as they will refuse entry to anyone in loose clothing. Would you guess, another attraction for Bangkok. 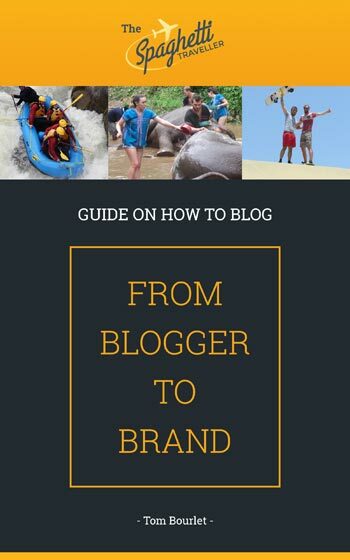 You will recognise the views from pretty much every tourist book and travel guide based on Thailand. 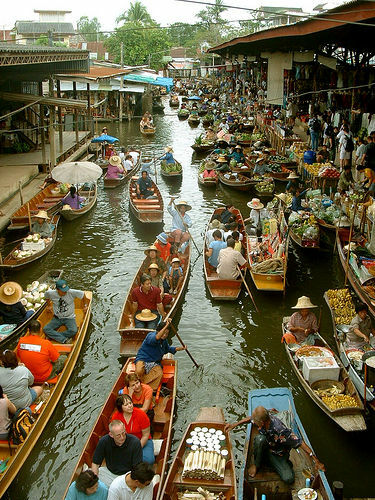 The floating market boats are filled to the brim with fruit and great tasting, healthy drinks. If you prefer, you could try a guided boat tour, where you can haggle with a group of tourists, stopping you feeling under pressure to buy. The Damnoen Saduak floating market, 50 miles southwest of Bangkok is meant to be absolutely amazing. Choosing a beach or a bay is hard as you are spoilt for choice in Thailand, however having a couple of brewskies on the beach as you watch the sun settle, with close and new made friends, pondering the facts of life; nothing sounds better to me. The all night, 7 days a week parties in Thailand are known around the world and cannot be missed if you are up for a wild experience. 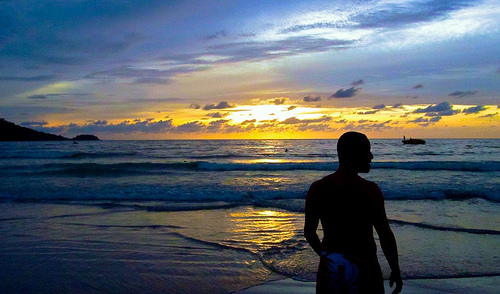 Patong beach is known to have some of the best clubs and the wildest scenes in the country. Whatever you do, don’t drink too much too early, as you’re going to be out till 8am, so you don’t want to tap out by 10pm! Tip: don’t take anything illegal as if the police catch you, they will demand either a gigantic amount of money or 5 years in jail! If you don’t pay the fee upfront, the fee will rise once you get to jail. Don’t be an idiot, take the illegal stuff back home, but just drink in Thailand, the rules are different! Travel to the north of Thailand and spend a couple of nights with a local family to learn the way they live and their cultures. This will offer you a much stronger image of the real Thailand, while it will also be something different to the stereotypical tourist. 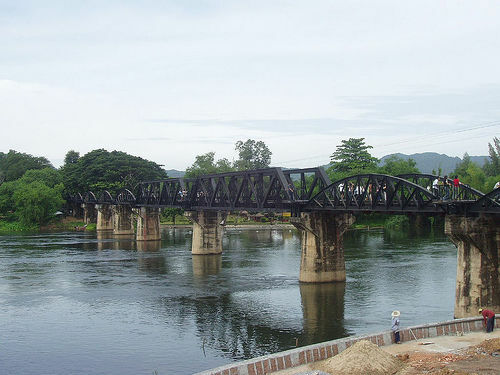 The 1957 film ‘The bridge over the river Kwai’ made this location famous to the Western world, however it was constructed during World War 2, as part of the Japanese Siam-Burma death railway. Allied prisoners of war were made to build the bridge, however it is believed around 16,000 died during the process due to the terrible conditions and the Allied bomb attacks. Thai food tastes absolutely amazing, beaten only by Indian and Mexican food for me personally. There are a large number of Thai food classes available for tourists, teaching how they cook their food and which ingredients are required to get that great taste. If you are in Thailand for an extended period of time, this is worth throwing in. 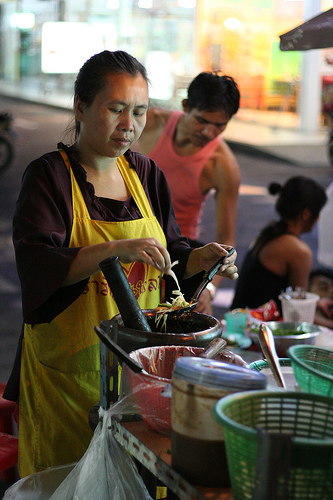 You could however skip this step if you make friends with locals in Thailand who are skilled in the kitchen. 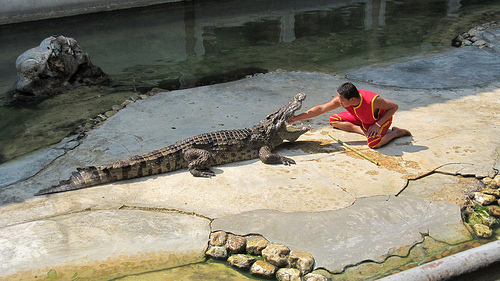 Another attraction where you will have to decide for yourself whether you would like to do or whether you feel it is a bit cruel, but the idea of wrestling a crocodile definitely appeals to me. I am slightly reckless and love signing up to things I will no doubt regret later, while Bangkok seems like the perfect destination for these bizarre activities, and none more so than at the Samphran farm. You can also watch a number of daredevil shows if you don’t feel like getting too close to the croc’s. Go down a busy touristy road and you will find a number of street performers, including snake tamers with highly dangerous snakes. Whether they have had their venom removed is debatable, however the fear and danger definitely add a hint of excitement. 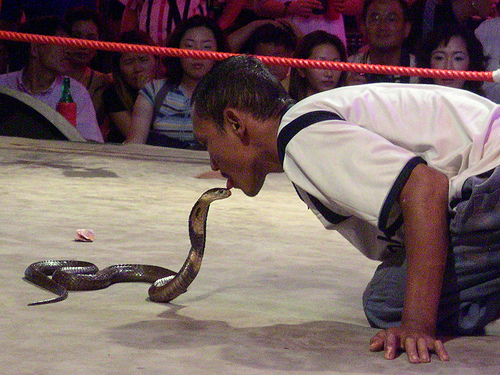 If you’re in Bangkok, you can go to the Bangkok snake park show, which has shows constantly on the weekend from 2pm. Watching a king cobra attempting to bite someone is quite a scary, yet thrilling experience. This isn’t to everyone’s taste, however I have been told it is actually pretty impressive as they really are incredibly believable. The ladyboy’s of Bangkok can be found at the Calypso Cabaret, strutting their stuff in some outrageous and quite humorous costumes. This is once again a must if you are in Bangkok, the city that seems to have everything. This is one of those activities you will be reluctant to do, but will make for a great story once you get home. I often find, the person willing to try all these wild activities returns with the best experiences, so push the boat out and bite a bug. 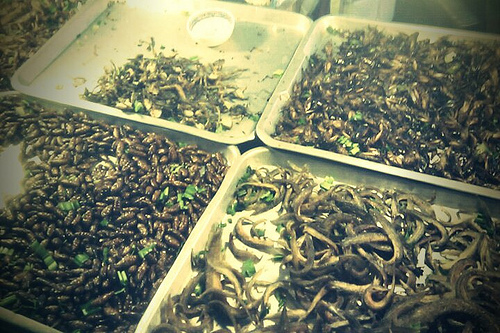 Grubs and locusts are commonly made, while my friend told me that the cockroach fried with garlic is mouth-wateringly good. Easily the nicest place I have ever stayed in my life, read my review of the Ammatara Pura Pool Villas if you do consider going. Based in Koh Samui, you will have your own private swimming pool, a villa the size of a house and a jacuzzi in your room. For days I had the giggles as I felt like a school kid, I honestly have only felt like that a few times in my life and I’m touched I got to experience this place, very much somewhere to go on a honeymoon.